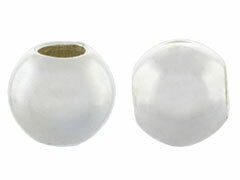 4mm Sterling Silver Smooth Seamless Beads. Hole size 1.5mm. This product was added to our catalog on Friday October 22, 2004. It is a great product. The only problem is that I didn't pay ..